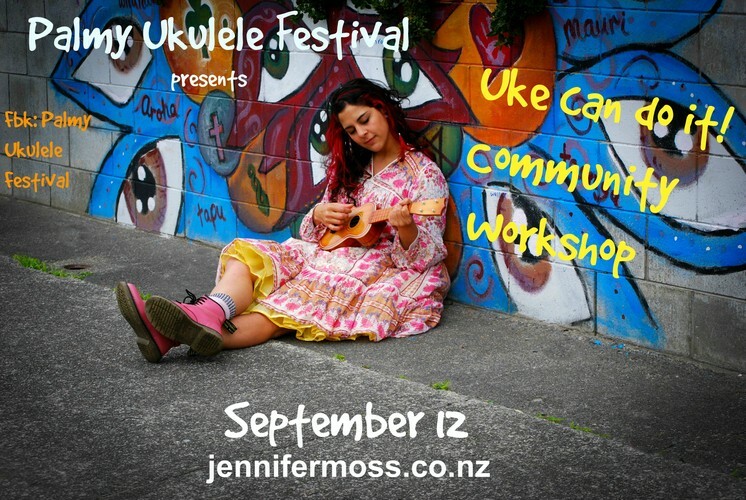 Palmy Ukulele Festival presented by Jennifer Moss Music, offers a Community Uke can do it workshop. Jennifer Moss, local musician and educator extraordinaire, will guide you through the very basics of playing this wonderful, versatile instrument. Come along for guidance and support: how to hold a uke, tuning, basic chords, strumming and helpful techniques & inspiration to get you started. Never too late to start...here's your chance! Ukuleles are available to use at the workshop.